This is best carried out in the spring or early summer, but only if ground conditions allow. It needs to be dry enough to carry the weight of the tractor without causing damage to the ground. Harrowing pulls up dead grass, providing space for healthy grass to fill. Harrowing also breaks up the surface of the ground allowing better drainage and an increase in available nutrients for plant uptake. This disturbance of the ground surface, promotes tillering (new grass shoots). 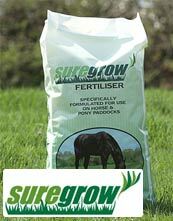 This increases sward density, reducing the opportunity for weeds to take hold in the pasture. 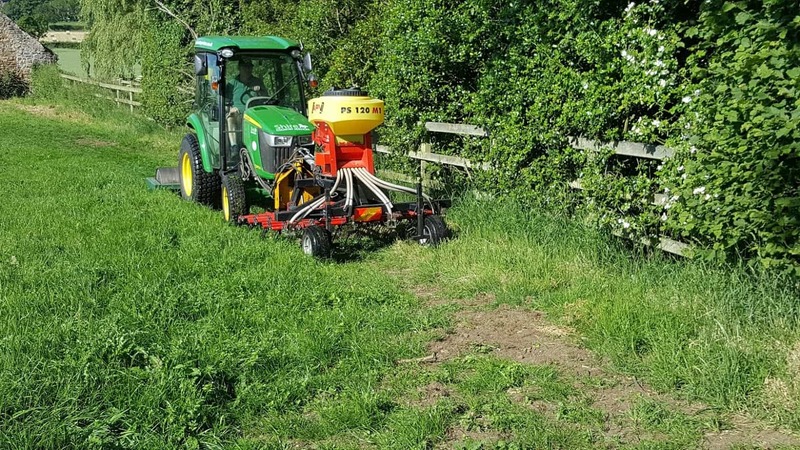 Our heavy duty spring tine harrow can be adjusted to provide different tine angles depending on conditions and what you would like to achieve. It is foldable to fit through gateways and wide enough to give high outputs when in the field. Our harrow has strong 8mm spring steel tines and follows ground contours using floating frames to ensure optimum performance. We have two different machinery options for harrowing. The simplest is a 3m set of tine harrows, perfect for larger acreages and multiple passes of a single area. 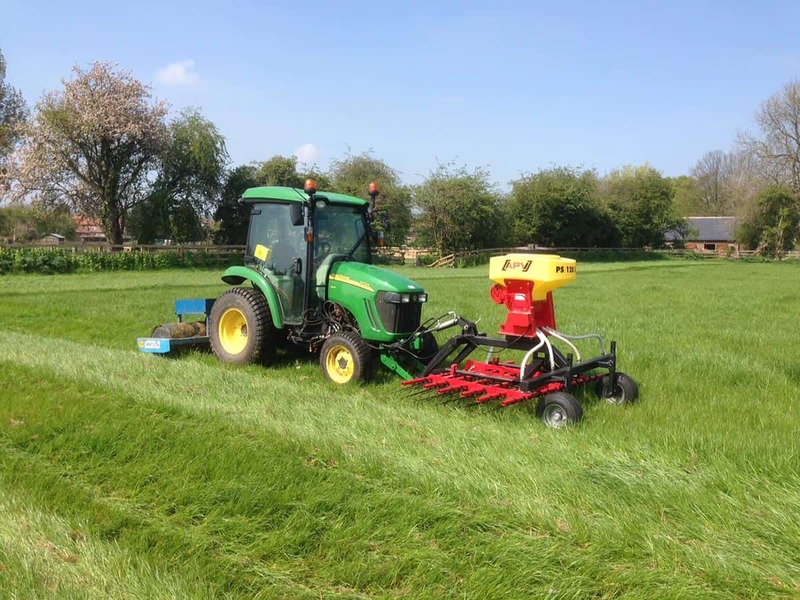 Our second and more specialist option is our harrow, seeding and rolling combination which is 1.8m wide and incorporates a front mounted Einbock grass harrow with pneumatic seeding unit, followed by a water ballast roller behind the tractor to consolidate seed and soil. 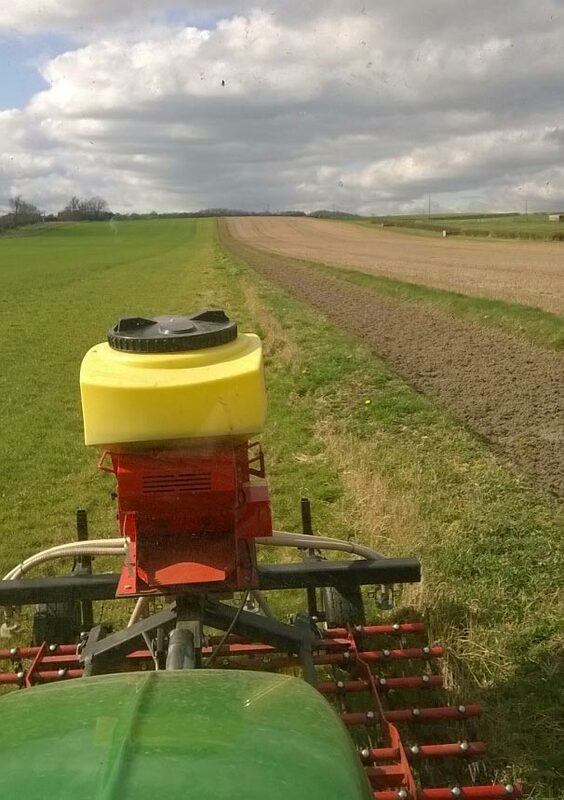 This can operate as a basic harrow and roller as well as applying seed if required. We run two of these machines which operate in Spring from mid-March through to the end of May, with another busy season in the Autumn from September through to mid-October. Applications include paddock repair as well as wild flower and environmental crop establishment.